The following is a press release from the Washington Department of Fish and Wildlife. The Washington Department of Fish and Wildlife (WDFW) is making the changes to help ensure rockfish catches align with harvest limits adopted by the Pacific Fishery Management Council. The council is responsible for establishing conservation measures in ocean waters three to 200 miles off the Pacific coast. Deepwater lingcod closure: Reduces the size of the deepwater lingcod closure in Marine Area 1 by moving the southern boundary five miles north (to 46° 28.00′ N. Lat. from 46° 33.00′ N. Lat.). WDFW is implementing the changes to daily catch limits to help ensure the conservation objective for black rockfish is met, said Michele Culver, intergovernmental ocean policy manager for the department. 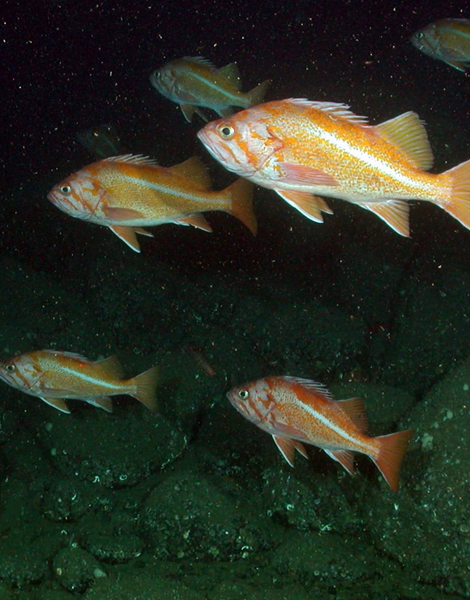 Meanwhile, anglers fishing in Marine Areas 1 and 2 now will be able to retain one canary rockfish as part of the daily limit for rockfish. Retention of canary rockfish previously had been prohibited in these areas to protect the species. In all four marine areas, anglers will now be able to retain lingcod regardless of fish size. Lingcod are abundant and removing the minimum size requirement is not expected to have any effect on the species’ population, Culver said. The change also should benefit the yelloweye rockfish population, which is still rebuilding, by reducing encounters with the species while anglers are fishing for lingcod, she said. Lastly, Culver said anglers should be aware that beginning July 1, they’ll need to have a descending device onboard their fishing vessel in all marine areas, including the coast. Descending devices are used to release rockfish back to the depth of capture and significantly improve the survivability of fish that are released. More information about these devices can be found on WDFW’s website.